Paras in game: 2,619 Who? Important notice! Pokemon Paras is a fictional character of humans. Red-and-yellow mushrooms known as tochukaso grow on this Pokémon's back. The mushrooms can be removed at any time, and grow from spores that are doused on this Pokémon's back at birth by the mushroom on its mother's back. Tochukaso are parasitic in nature, drawing their nutrients from the host Paras's body in order to grow and exerting some command over the Pokémon's actions. For example, Paras drains nutrients from tree roots due to commands from the mushrooms. The mushrooms are also popular among collectors and have medicinal uses, usually involving extended life. The mushrooms are also the source of its former signature move, Spore. 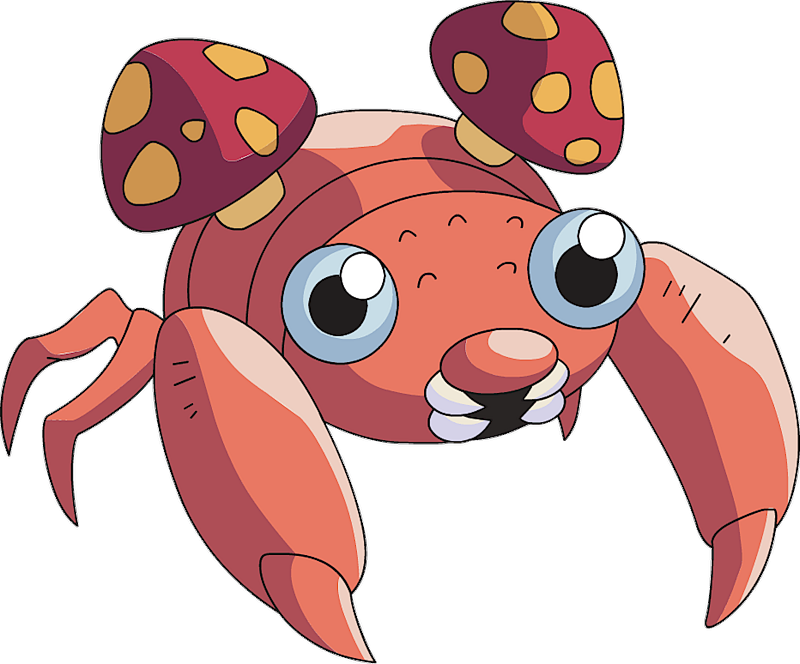 The anime has shown that Paras can often be found in caves. However, it can also thrive in damp forests with high amounts of humidity where conditions are ideal for fungi. It is also very timid as shown in the anime when it runs away from a battle with a Charmeleon. Paras is featured in The Problem with Paras under the ownership of Cassandra. 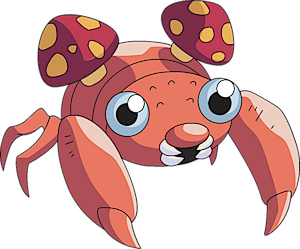 It is extremely weak, but Cassandra needed it to evolve into a Parasect so she can use the giant mushroom to aid in her medical research. It does so towards the end of the episode. 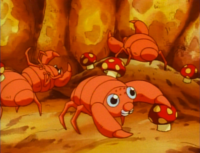 Paras made its debut in Clefairy and the Moon Stone, in which a group of Paras can be briefly seen removing the mushrooms on their backs. Seymour explained that this behavior was due to someone stringing lights in the caves of Mt. Moon, and implied that this was not good for them. A Paras also appeared in Bulbasaur and the Hidden Village. It was one of the Pokémon in Melanie's care. It reappeared in a flashback in Bulbasaur... the Ambassador!. A Paras appeared in Pokémon Fashion Flash, A Chansey Operation and The Breeding Center Secret. Multiple Paras were among the Pokémon seen at Professor Oak's Laboratory in Showdown at the Po-ké Corral. Two differently patterned Paras appeared in Poké Ball Peril. 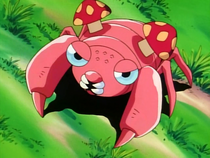 A pink Paras appeared on Pinkan Island in In The Pink. Paras had a small cameo in Tracey Gets Bugged as one of the Bug Pokémon on Murcott Island. A Paras was one of the Pokémon stolen by Butch and Cassidy in The Fortune Hunters. A Paras appeared in The Bug Stops Here where it was chased away by Misty after it scared her. A Paras belonging to an unnamed competitor appeared in The Grass Route competing in the Grass Tournament. 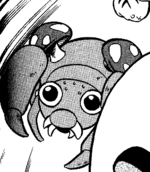 A Paras was one of the inhabitants of an oasis just for Pokémon in Got Miltank?. Paras also appeared in The Power of One, Celebi: Voice of the Forest and Destiny Deoxys. A Paras appeared in the opening of Lucario and the Mystery of Mew. A group of Paras also appeared in Genesect and the Legend Awakened at Pokémon Hills. 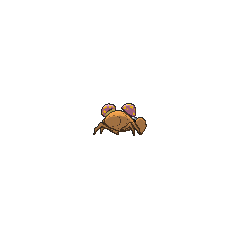 A Paras appeared in SM008. In Purrrr-sian, Super Nerd Miles, disguised as Red, used a Paras to attempt to capture Pika (at that time with Yellow) using its spores alongside his Persian and Marowak. 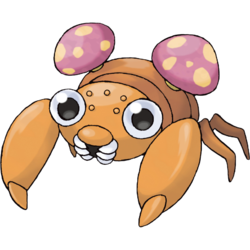 A Paras appeared in The Last Battle XIII as one of the Pokémon sent to help the fight in Ilex Forest. Early English promotional material for Pokémon Red and Blue listed Paras's name as Parasyte. The name may have been shortened to Paras because Parasyte is the official English name of a graphic horror manga series. Paras can be seen as a parallel to Shroomish. Both of them are Grass-type Pokémon based on fungi. Paras is exclusive to White while Shroomish is exclusive to Black, with both Pokémon found in a Mass Outbreak in the same location in their respective versions.